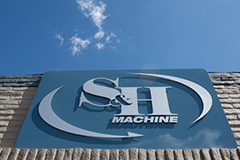 For more than 58 years, S&H Machine has helped our customers increase profitability by reducing the cost of quality and by providing reliable solutions to their complex machining and sub-assembly requirements. Our custom-built MAP ERP software sends real-time information directly to iPads on the production floor. This gives us control over the entire system and allows us to achieve some the the highest quality and on-time delivery stats in the business. Lean Manufacturing principles help eliminate inefficiencies and waste, leading to increased throughput. Our on-time delivery ratings are among the highest in the manufacturing industry. For customers who need zero lead-time, we will make an investment in maintaining inventory at no added cost. If necessary, we will also invest to expand our manufacturing capacity for mission critical and production critical requirements. 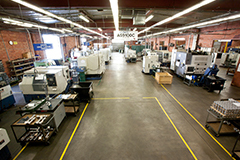 More than 70 highly sophisticated multi-axis CNC machining centers to run your most complex products. 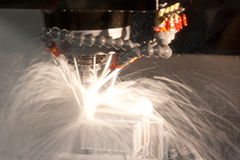 Our 5-axis palletized CNC machining centers are capable of unattended production, twenty-four hours a day. 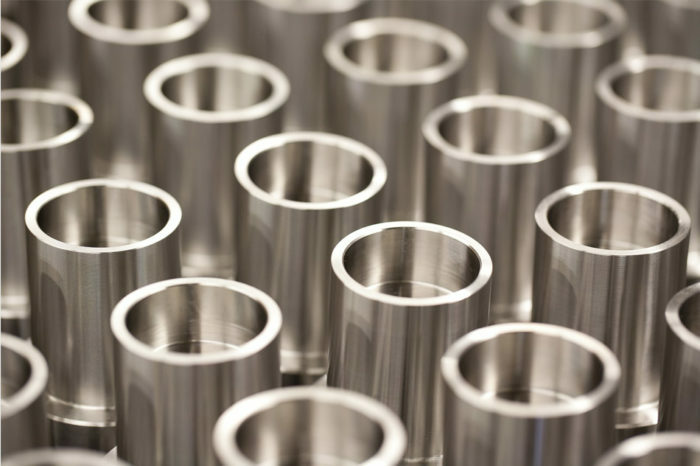 S&H is recognized for our ability to machine complex parts from titanium. We have the experience, machinery and procedures to manufacture titanium products that other manufacturers avoid. 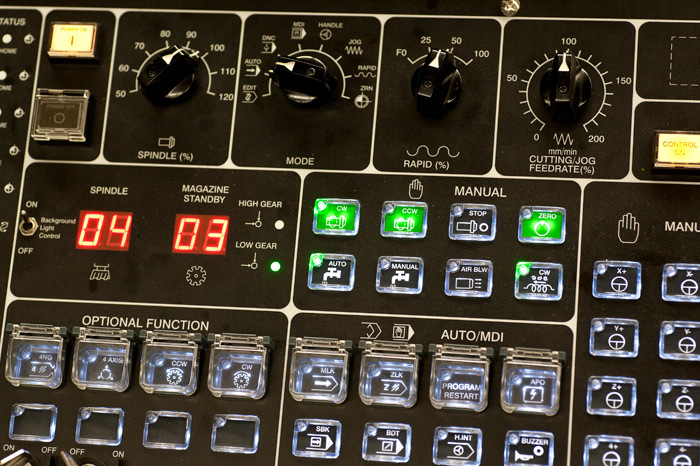 We provide engineering support and manufacturing expertise. We will work with your engineering department so that your new products can be produced with even greater confidence. 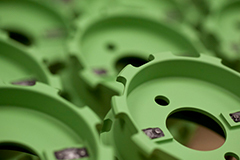 From Check Valves and Relief Valves, to Lee Plugs and Helicoil Inserts, from our Press Fit and Shrink Fit process to Gauss Testing and laser marking, we provide complete assembly and testing services for the products we manufacture. Since 2010 we have added an additional 28,000 square feet of manufacturing space and a second campus in South El Monte, California. The S&H campus now occupies eight buildings for a total of 47,000 square feet. S&H is proud to employ a team of nearly 100 highly skilled and motivated employees. 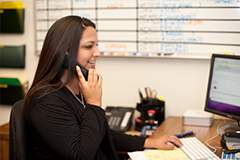 A top priority is for our team members to fully develop their skills and our processes. For more than 58 years, S&H has been working with some of the most well-respected companies in manufacturing. They keep coming back to us because we deliver what we promise, on time and on-spec. Why should you do business with S&H? Because you want it done right the first time and every time thereafter. Manufacturing has undergone an incredible transformation. Leading OEMs must accept and share greater responsibility in order to gain market share. To excel in this industry requires flexibility, control, skill and measured results. S&H meets and exceeds the demands of a global industry head-on, serving critical Tier 1 and Tier 2 customers such as Crane Aerospace & Electronics, Eaton Aerospace, Esterline Corporation, MOOG, Parker Aerospace, Pacific Scientific, Triumph Group and Woodward, Inc. These customers choose to do business with S&H because of our outstanding quality, our reliability, our adherence to Lean principles, and because we deliver the best value in highly competitive markets. We embrace the Lean business model in order to meet the demands of the industries we serve; we practice 6S to help reduce waste, eliminate inefficient processes, increase throughput, and reduce lead times. We consistently achieve on-time delivery and quality ratings that are among the best in the manufacturing industry. S&H continues to exceed expectations. Our advanced processes and proprietary MAP ERP systems help us to achieve some of the highest quality and on-time delivery stats in the manufacturing business. S&H is financially stable and low-risk. We have business continuity plans in place and have been a reliable partner for almost 60 years. 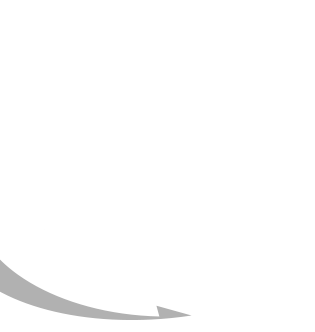 The Altman Z Score is a measurement of the financial stability of a company based on assets, liabilities, profit and market value. With a score of 4.30, we are well above the minimum safe zone score of 2.9 points. We believe in investing in our future and have a plan in place for continuous capital expenditures to increase our capabilities and stay ahead of the competition. To continue our record of amazing on-time delivery and reliability we have implemented plans to keep production going smoothly. 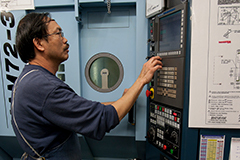 Facilities with similar capabilities and machines in Burbank and South El Monte California. Each facility has redundant air compressors to minimize production downtime. We use Bruker S1 Titan field portable XRF analyzers, and independent agencies to perform raw material analysis at regular intervals to ensure compliance of our raw materials. Our employees and their knowledge are our greatest asset. We have implemented a cross-training program to ensure that key knowledge is shared. We are audited annually to ensure strict adherence to industry standards. Our AS9100 certification shows we meet additional standards for quality and safety in the aerospace industry. Unlike many other manufacturers we have comprehensive earthquake insurance to ensure we can keep operating if disaster strikes. We have met our revenue goals for the past five years and are on track to meet or exceed our goals for the second half of our ten year plan. S&H is proud to have been recognized by our customers, suppliers and business groups for exceptional quality and service. 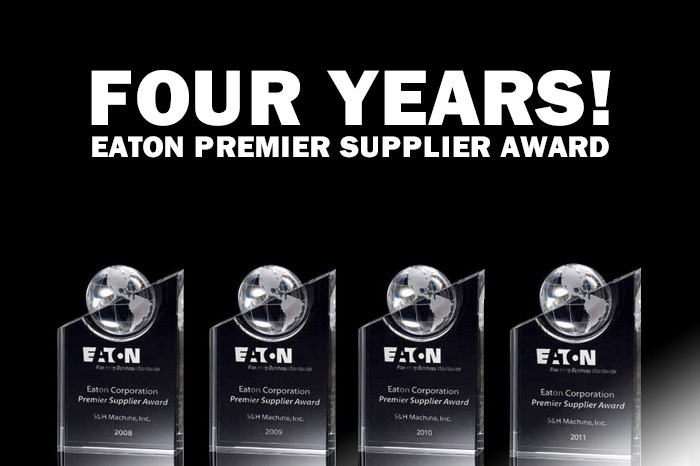 For four years in a row, S&H Machine won the prestigious Eaton Premier Supplier Award. As a global technology leader, Eaton has an opportunity to work with thousands of different suppliers. That S&H was recognized four years in a row is a stellar achievement and we aren’t done yet. Our commitment to continuous improvement, quality and value means we’re just getting started. S&H President David Fisher was presented with the Manufacturing Leadership Award for his work in forming the Southern California Manufacturers Group. This organization of Los Angeles area manufacturing companies meets regularly to discuss common challenges and formulate solutions which benefit the entire manufacturing community. To remain one of the world’s most productive manufacturing companies, S&H Machine actively participates in industry associations and works closely with other leading companies to identify common issues and create solutions. As one of the founding members of the Southern California Manufacturing Group, S&H Machine has built close ties with the best manufacturers in the Los Angeles area. We recognize that even the best companies can learn from others and that sharing ideas makes everyone stronger. We are proud of our proactive approach to help improve the entire manufacturing industry and invite you to join us. A community of world-class Los Angeles area manufacturers who strategize, innovate and implement best practices to optimize performance of member companies. Innovative manufacturer of dovetail workholding products for 4 and 5-axis CNC machines. 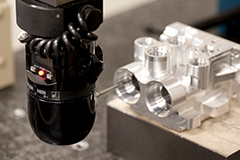 Raptor’s unique dovetail allows manufacturers to quickly change parts and allows access to five sides of the workpiece. A fully integrated suite of programs that drives continuous improvement and major cost savings in the manufacturing process. S&H clients can connect online to check quality, reduce costs and monitor processes. The Aerospace Industries Association (AIA) is the most authoritative and influential trade association representing the U.S. aerospace and defense industry. AIA’s strong advocacy is essential to protecting the interests of our nation and our industry. A multi-disciplinary design company specializing in website design, web development, programming and graphic design. In addition to web site design, they can also help with logos, brochures, advertisements and marketing materials. Award-winning photographer featuring product photography, portrait photos, live-event photography, surfing photos and more. Supporting our community and following responsible business practices are important to us. We are proud to take part in the following initiatives and activities. Program to replace machines with more energy efficient machines. Reduced paper usage with ipads at workstations. Student Tours – We invite teachers from local schools to tour our facilities with their students. Kids are given a presentation about the manufacturing process, shown completed parts and encouraged to learn more about the industry, engineering and technology. 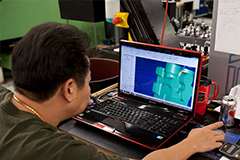 Manufacturing Career Counseling – We work with local high schools, vocational centers and community colleges to educate students about careers in manufacturing. 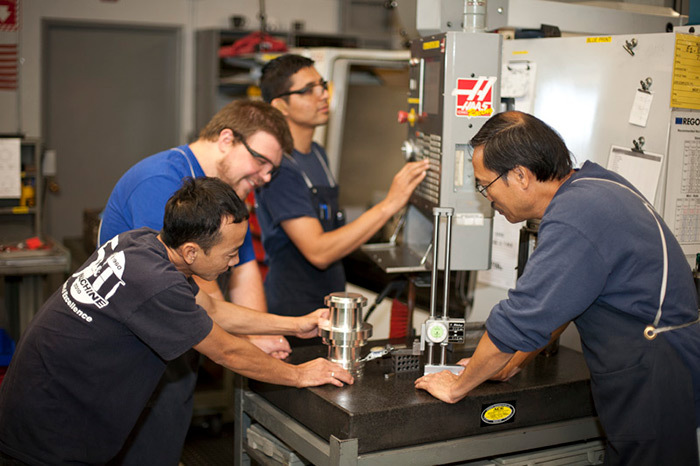 Apprenticeships and Internship Programs – We help students and graduates continue their education. Charity donations to local organizations – S&H donates thousands of dollars every year to charitable and non-profit organizations. 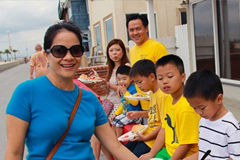 Local fundraising and support – We encourage our employees to participate in fundraising events such as races, sports competitions and support organizations.